Eden Hazard has made a statement concerning committing himself to Chelsea and it all depends on the club. Hazard is a long time transfer target for Real Madrid and Chelsea are looking to tie him down with a new deal. Though he has two more years in his Chelsea contract and report also has it that he has agreed on a new deal verbally. Hazard has now made it known to Chelsea that he will only put pen to paper if the club bring in good players during the transfer window. 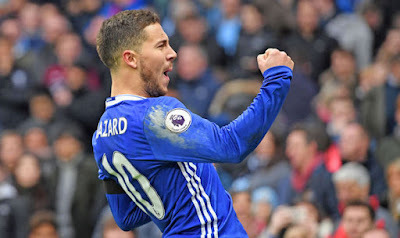 Hazard also reveal his desire to win the FA Cup and also play in the Champions League. Do you think Eden Hazard will be at Chelsea next season?